Weaponry is a common feature of modern animals (think of deer, antelopes, rhinos – the list goes on! ), but most modern animals wield their weapons on their heads. However, some extinct animals had specialized tail weaponry, either in the form of tail clubs or flails/whips. Over the course of my career I’ve investigated the biomechanics of tail clubbing in ankylosaurian dinosaurs, through mathematical modelling and finite element analysis, and found that tail clubs would have been very effective weapons. I have also shown that these specialized weapons evolved in a two-step process in which the tail first stiffens before expanding at the tip. I now want to understand what factors drive the evolution of tail weaponry in all terrestrial vertebrates, including glyptodonts (extinct giant armadillos), meiolaniids (extinct giant horned turtles), stegosaurian dinosaurs, and sauropod dinosaurs. During the Cretaceous Period, North America was frequently inundated by a vast shallow sea called the Western Interior Seaway. Changing sea levels and tectonic events also meant that North America was sometimes connected to Asia through the Bering Strait. Sea level changes had a profound effect on dinosaur evolution, influencing migration events, regional extinctions, and perhaps even body size changes. 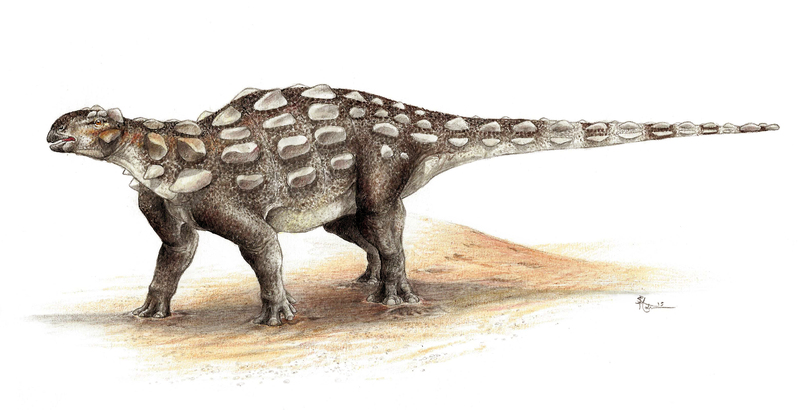 My work on ankylosaur palaeobiogeography has shown that Late Cretaceous ankylosaurines (the ankylosaurs with tail clubs) in North America had their origins in Asia. 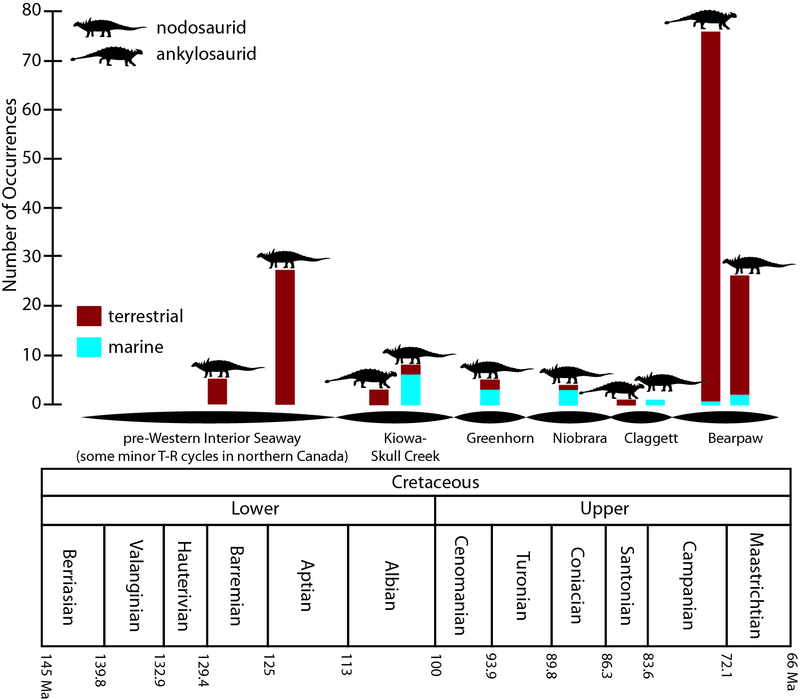 Native North American ankylosaurids, represented by animals without tail clubs like Cedarpelta, may have been driven to extinction as sea levels rose to their highest point around 100 to 90 million years ago. A current project with the Paleontology Research Lab at the North Carolina Museum of Natural Sciences investigates how range restrictions during high sea levels may have contributed to changes in body size among many different kinds of dinosaurs. 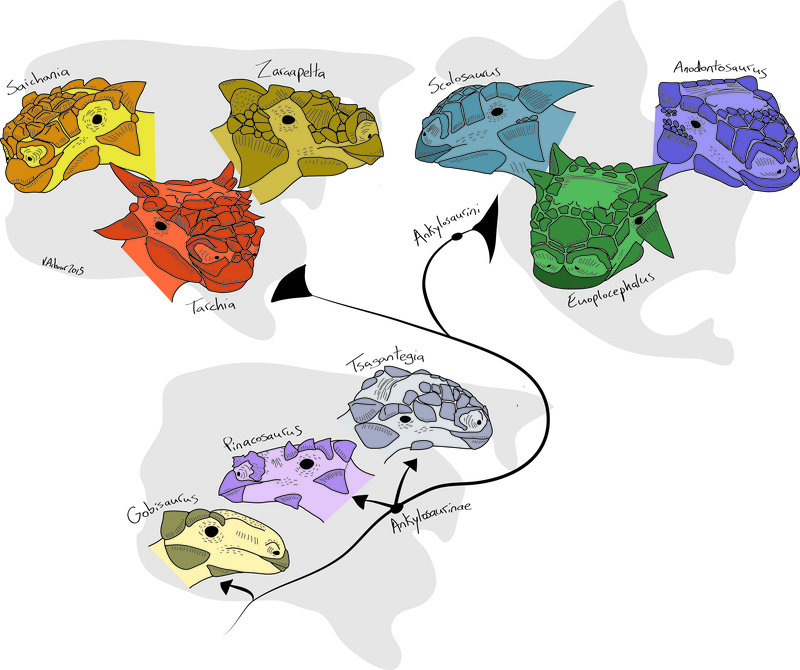 Ankylosaurs are also just cool animals and I’ve spent a lot of time untangling their diversity and phylogenetic relationships, understanding intra- and interspecific morphological variation, and other aspects of their palaeobiology, like what their skin looked like or what was inside their skulls. 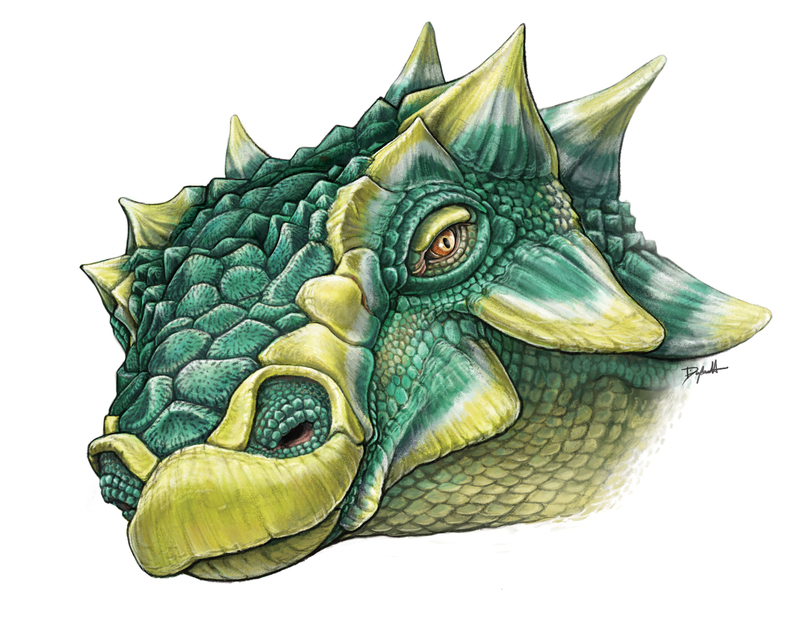 With my colleagues, I’ve named three brand new ankylosaur species, Zaraapelta nomadis (from Mongolia), Ziapelta sanjuanensis (from New Mexico), and Zuul crurivastator (from Montana), created the new genus name Crichtonpelta for “Crichtonsaurus” benxiensis, and resurrected several species (Dyoplosaurus, Anodontosaurus, and Scolosaurus) that had been synonymized with Euoplocephalus.